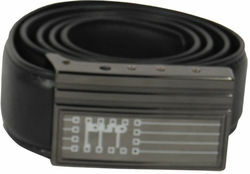 Our Hidden Leather Belt Camera with built in DVR is the perfect body worn covert spy camera. The black leather belt and nice metal buckle give the appearance of a normal piece of clothing accessory, but instead hidden covertly in the buckle is a small hidden color camera and DVR. This allows you to record in high definition at 1280x720 resolution at 30fps almost anywhere you go. The long lasting battery will provide you with 2 hours of power. It only takes 2 hours to recharge the battery. The belt camera comes with 16GB memory that allows you to store 5 hours of video. It easily connects to your computer via supplied USB cable which allows you to instantly download your video footage.